Absinthe Promethee was created from an apprentice-work of an Absintheurs during his apprenticeship in the Matter-Luginbühl Distillery. As piece, individual tests were created sent and asked the very positive echo for it, this top-absinthe a bigger public, to make accessible. So, a limited rank of only 333 bottles, that already was sold out all over Germany already within a few days, was put on. 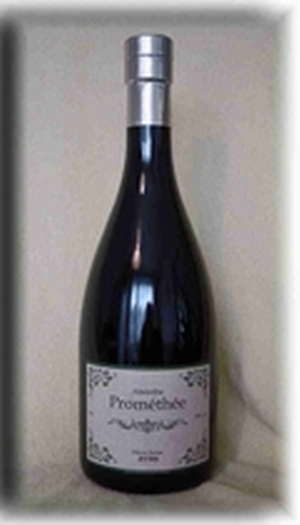 Promethee absinthe is a pure distillation from Switzerland, in which only very best ingredients are used. Also the colouring originated from purely natural plants and herbs. In contrast to many other competition-products, this absinthe bids a certain sweetness for natural way in the aroma, that makes the preparation with a die-sugar-piece not absolutely necessary. Each bottle of the 333 bottles of absinthe Promethee is individually signed rank with the serial number of this limited. So, each bottle is also a collector item, that will become ever more valuable in the course of the time. 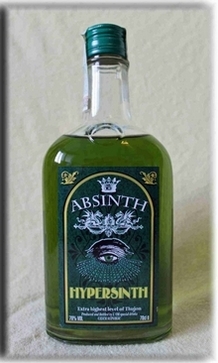 This relatively fresh absinthe, that was burned in July 2008, also still certainly ripens taste-like after with the before-out-visible result, that the taste will become even more balanced and softer. The purchase of every of these bottles should represent also a value-installation in the course of the time.